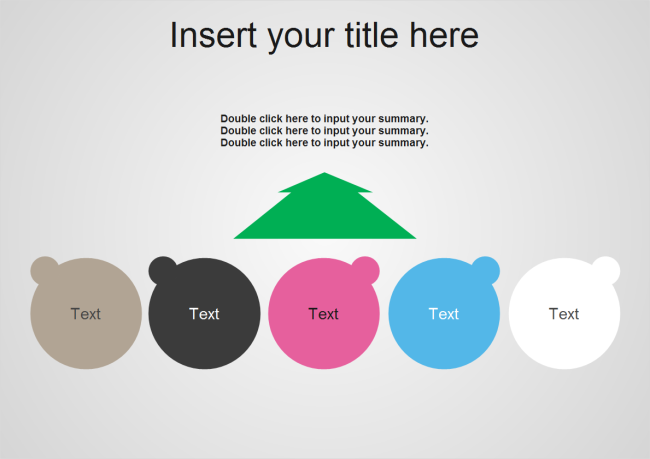 Description: Free customizable summary PowerPoint template with five cute circles and a summary arrow. If you are not satisfied with the color or circle number, don't worry, this template is offered in vector format. Through a few clicks you can recolor, resize and change shape numbers on this template.